Looking for a way to root your Galaxy S4 Value Edition GT-I9515 running on stock Samsung official firmware? Well! You are in right place. 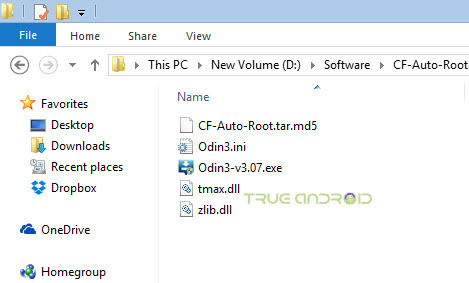 Today we going to show you how can you root your Galaxy S4 Value Edition GT-I9515 easily with the help of CF-Auto-Root file and Odin. This CF-Auto-Root rooting method tested on Galaxy S4 Value Edition GT-I9515 that running on KOT49H.I9515XXU1ANI3 Android 4.4.2 KitKat firmware. However you can always root Galaxy S4 Value Edition GT-I9515 that running on any other firmware version but as long as its Android 4.4.2 KitKat or lower. There are various benefits that rooted Galaxy S4 Value Edition GT-I9515 offers that stock non-rooted Galaxy S4 Value Edition GT-I9515 can’t. 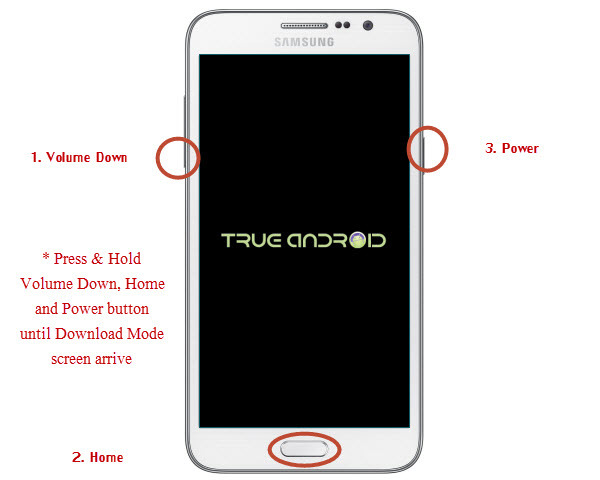 This quick guide even can help an Android newbie to root his/her Galaxy S4 Value Edition GT-I9515. You probably already know that rooting void your manufacturer warranty. Continue reading this guide learn necessary steps to root your Galaxy S4 Value Edition GT-I9515 running on official firmware. This rooting tutorial that allow you to root Galaxy S4 Value Edition GT-I9515 running on official firmware won’t require custom recovery such as CWM recovery or TWRP recovery, instead we will use ODIN utility. A rooted Android device let you access system files, allow you installing custom firmware and let you flash MODs using a custom recovery. Warning!We at True Android produce tutorial to help out fellow Android users but all this guide are educational purpose only. You should try this guide at your own risk. Neither we nor the developer should be responsible if your Android device experience a damage after following this tutorial. Also remember,this guide is only applicable for Galaxy S4 Value Edition GT-I9515. 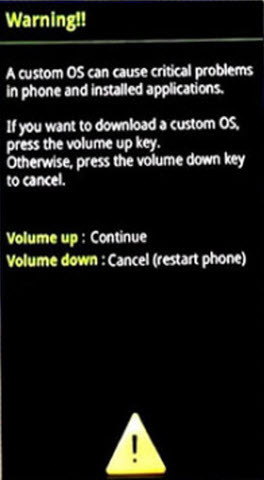 Don’t try this guide in any other Android device. It may hard brick your device. So, you done everything that we mentioned above, right! Now, you are ready to move towards next stage of this guide where we summed up detail instruction on how to root Galaxy S4 Value Edition GT-I9515 running official Android firmware. Remember, it’s very important for you to follow everything that we mentioned below to successfully root your Galaxy S4 Value Edition GT-I9515 on official Android firmware. 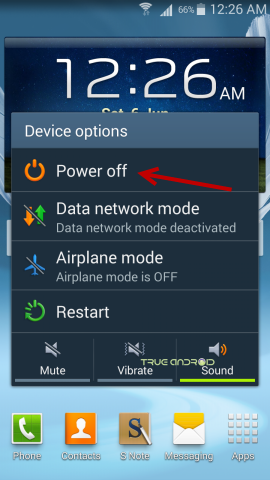 Step 3: Now turn off your Galaxy S4 Value Edition GT-I9515 by long pressing Power button and then tapping on Power off option. Wait 5-6 seconds for vibration to confirm complete switch off. Step 6: Now it’s time to connect your Galaxy S4 Value Edition GT-I9515 with your PC using USB cable. Do it and you will see a message under Odin’s message box in the bottom left saying “Added!!”. If you don’t get it then you should try another USB port (try USB port located in back of your desktop PC cabinet). If this still can’t solve your issue then you should reinstall USB driver for your device. However. if you successfully see the “Added! !” message in Odin then you are ready to go in next step. You should also see COM port with a number, below ID:COM. Step 7: Now, click the PDA Button, and select the CF-Auto-Root-jfvelte-jfveltexx-gti9515.tar.md5 file that we received at Step 2. Step 9: To make flashing safe for you double check everything that we mentioned in Step 7 and Step 8 above. Now, once you are ready, hit the START button to begin the flashing process. You can see the progress on your Galaxy S4 Value Edition GT-I9515 screen. That’s it! Your Galaxy S4 Value Edition GT-I9515 running on stock Android firmware is now rooted. You should now see SuperSU app in your app drawer. Tap on it and it will ask you to update the binary. 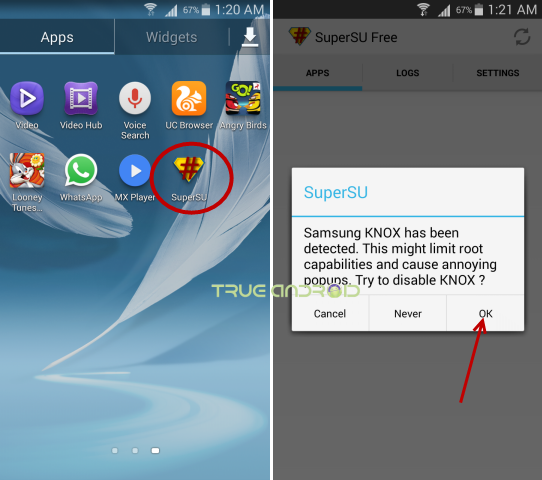 The app also prompt you to disable Knox when installed. Once done, you can then install apps that require root permission as well as access system files. 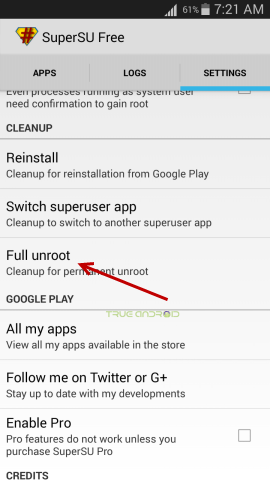 To confirm if you successfully rooted your Galaxy S4 Value Edition GT-I9515 or not, install an app called “Root Checker” which is available for free from Google PLAY store. We recommend you to check out Best Apps For Rooted Android Devices (Android Phones & Tablets).